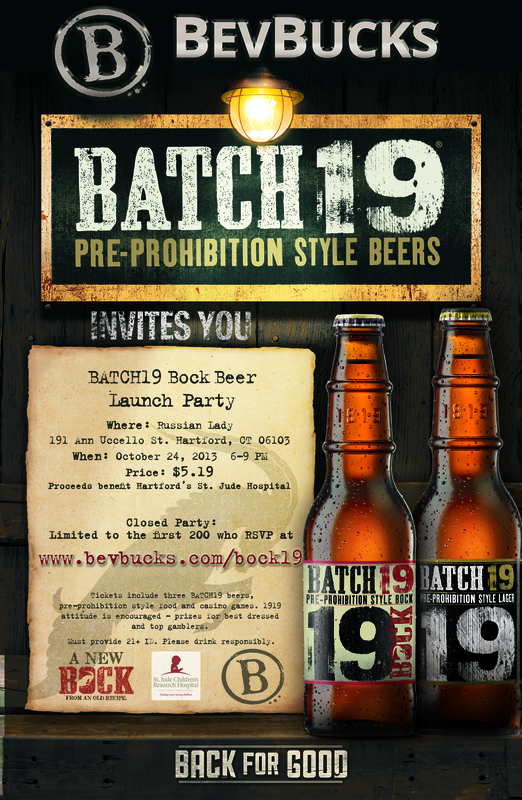 On Oct. 24 at the Russian Lady (191 Ann Uccello St Hartford, Conn.), there’s a launch party for Batch19’s bock beer hosted by Bevbucks, which is kind of like a Groupon for drinkers. Proceeds will go to St. Jude Hospital in Hartford. Tickets are $5.19, which gets you three pints of Batch19, which are “pre-prohibition”-style beers, plus dinner and entertainment. For more information and to RSVP, go to www.bevbucks.com/bock19.